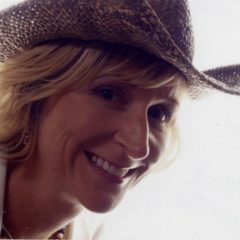 My name is Terri Fann, and I love writing country lyrics and singing with friends. Feel free to look around a bit, and know that I have two things you can buy – a short e-book about learning to get out and play at open mics, and a full-length music CD of original songs. I don’t sell either of these items here, but below are links to where you can buy if you might be interested. How to Play at Open Mic Night: A Beginner’s No-Nonsense Guide to Live Performing, Playing Guitar and Singing on Stage is a short e-booklet I put together in 2013 that outlines the easy and specific steps to getting you and your musical material out there in front of an audience. If yes, then go for it! You can download a copy of How to Play at Open Mic Night from Amazon by clicking on the picture of it below. Coffeehouse Country is a music CD of my original songs. The sound is acoustic, Texas-y, and coffeehouse-y. Some of the songs on the CD have been published and recorded by other artists (Dreamin’ Bout Dancin’, Free to Believe, and Little Old Ladies), and others are award winners or repeated requests at live performances. Obviously a WHOLE bunch of songs did not make it on to my first and only full-length CD, and Lord only knows when I may record a project of this undertaking again…. so get this one if you’d like to hear what I’m all about, songwritingly speaking. Even though in most cases the other artist cuts are better IMO – you gotta love a talented performing artist! – I decided to use my own voice and guitar for Coffeehouse Country. Some major musical geniuses were involved in making me sound perty good on this album. You know that ain’t JUST me playing guitar :). But all singing = me. I have a few other songs professionally recorded and available on short CD runs, but those discs are not available for online purchase at this time. If you would like one or more of those (Long Train Ride, Lavender Moon songs, and/or one that I didn’t write but love – Kum Ba Yah), let me know and I’ll check my stash. You can order Coffeehouse Country, the CD, from CD Baby here. You can also download individual songs from Coffeehouse Country on iTunes (sorry this is not linked, go to your iTunes music store and search for Terri Fann or Coffeehouse Country). Or if you prefer to shop on Amazon, click the picture below. The two links to Amazon on this page are affiliate links. You’ll get the lowest available price. I will announce it here on my site if the e-book goes on sale or into a free promotion on Amazon. Terri Fann. All rights reserved.